Mercedes-Benz is staying true to its goal of going global and leading the MPV segment. The German company celebrated the entry of its Mercedes-Benz V-Class MPV in the Indian market, a move that came after the van’s release in Japan in 2015 and in China in 2016. 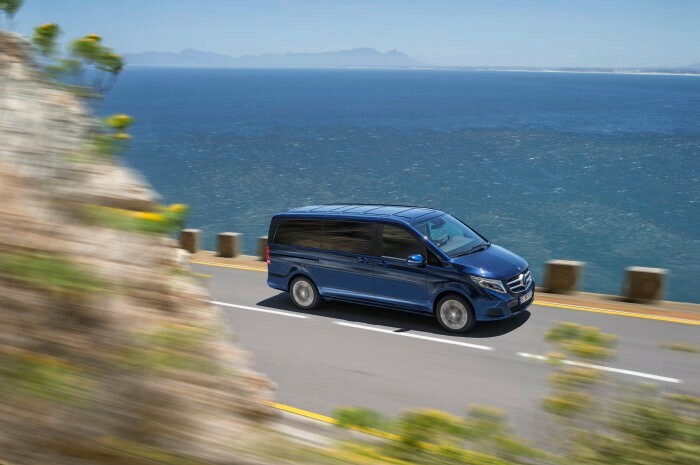 The V-Class MPV combines the functionality of a classic van with the typical strengths we find in a Mercedes passenger car. It offers space for up to eight people to sit comfortably plus, it has an intelligent stowage space concept. It is also distinguishable from other MPVs because of its stylish design and its many personalization options that turn this Mercedes into one of the most unique MPVs out there. Other options include are the choice of the biggest panoramic sliding sunroof in the segment, the wide center console with integrated coolbox, and the temperature-controlled cupholders with LED illumination. There’s also the discrete ambient lighting that offers three different colors and five dimming levels. This concept alone will manage to impress consumers looking at this segment. The “Mercedes-Benz Vans goes global” strategy has a three-part approach. It hopes to tap into markets that have potential for growth, as well as broaden and differentiate the company’s product portfolio. It also seeks to drive forward the company’s role as the leader in this segment globally. The last one should be achieved by the future-oriented advance initiative that’s about to be rolled out. Mercedes also plans to focus on developing and commercializing comprehensive customer-oriented transport and mobility support.